Yet again, Gourmet Walks had a wonderful staff meeting. Since us guides do the tours individually, it is great when my coworkers- a talented group of outgoing, devout foodies- can get together and share a meal. Having just launched the new food tour in NoPa, which I am one of the guides for, it seemed appropriate to hold our staff meeting at a restaurant near the tour route. 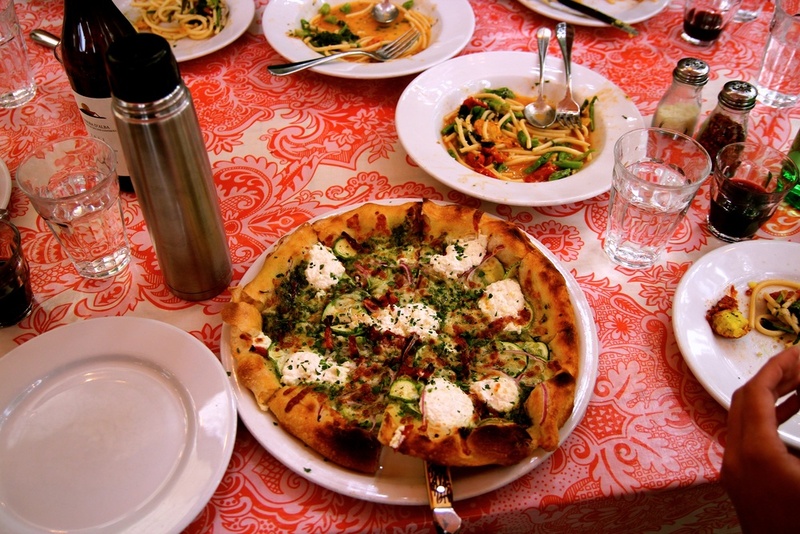 We all met on the outdoor patio at Ragazza and shared a wonderful, family-style Italian meal. We left the ordering to Nicole who has tried nearly every menu item and is an expert on the art of going out to eat. We started the meal off with fried Arancini, which are rice balls stuffed with smoked mozzarella, coated with breadcrumbs, fried, and then paired with sun-dried tomato pesto. Next we shared two types of summer salad. First: Escarole w/ avocado, radish, carrots & anchovy dressing Second: Mixed Greens w/ beets, gorgonzola & pistachios. Next came the Bucatini pasta dish with broccoli rabe, cherry tomatoes, pecorino, and topped off with fresh white anchovies, my favorite addition to a pasta dish. Then came the pizza. 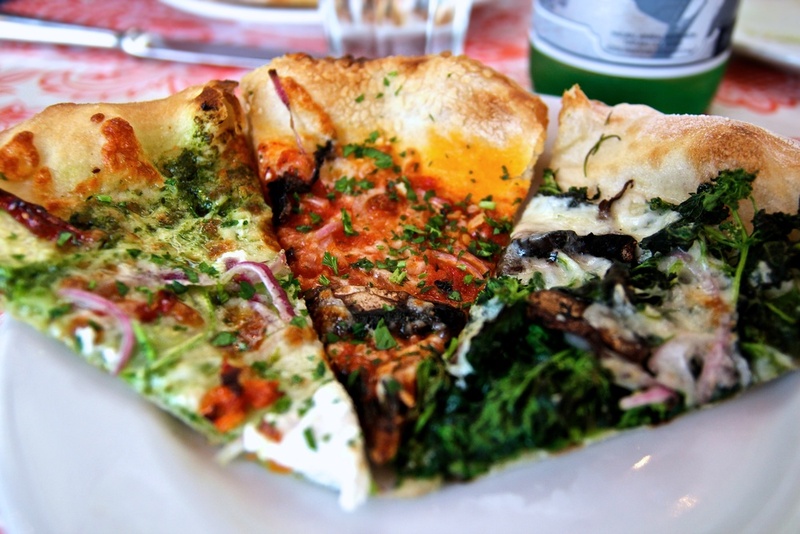 Being a large group, and all obsessed with being as well-acquainted with the menu as possible, we ordered three pizzas which had a variety of sauces as well as toppings. 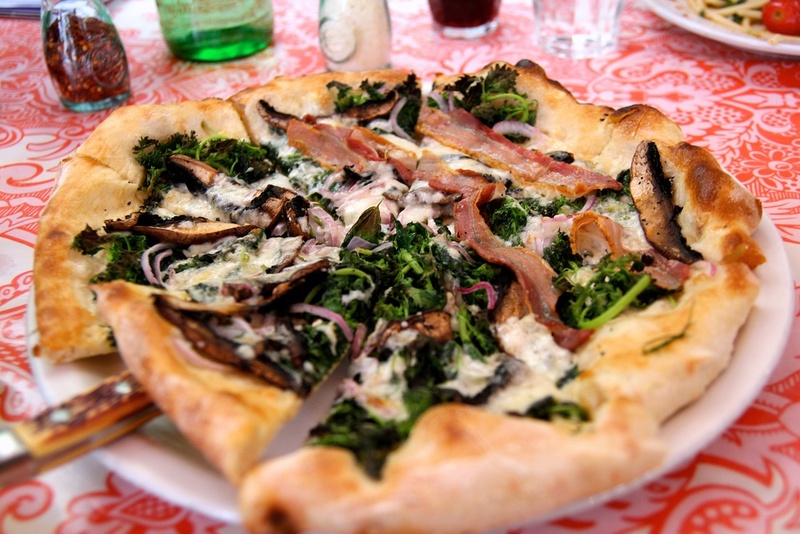 First: Wild Nettles w/ portobello mushrooms, Olli pancetta, red onions & aged provolone. Second: Summer Squash w basil pesto, red onion, sun-dried tomatoes & ricotta. Third: Moto pizza with tomato, Calabrian chilies, mushrooms, red onion, sausage & mozzarella. One requirement for being a Gourmet Walks tour guide is to have a sweet tooth, so of course we finished the meal off with some dessert. 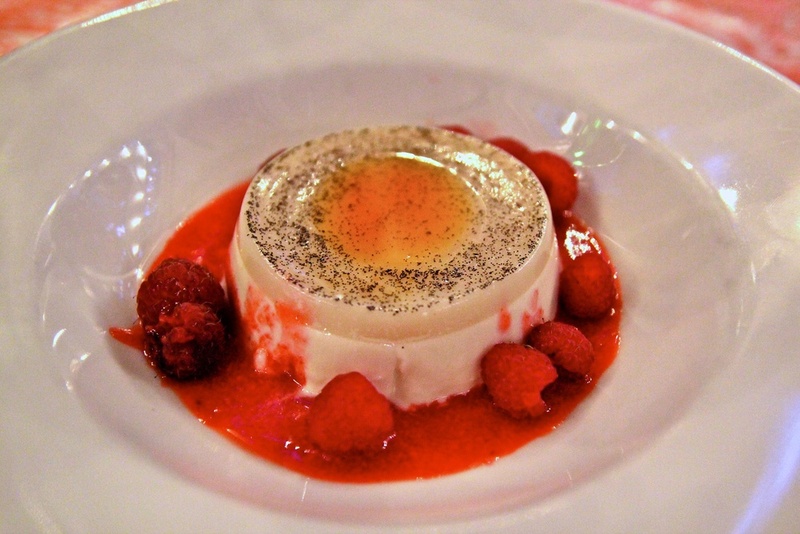 She shared a Meyer Lemon Panna Cotta with raspberries. 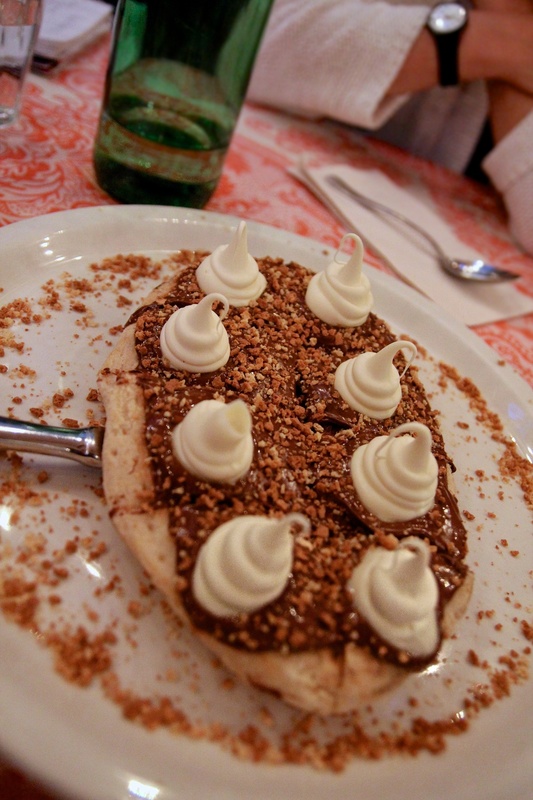 However, the star dish was the Nutella pizza topped with mascarpone and crushed amaretti bits. I left full, happy, and already excited for our next get-together.